Guatemala is a country with tremendous mineral potential. Its privileged location, situated between the plates called the Caribbean and North America, makes movements, pressure and heat of the tectonic plates over millions of years, have brought and produced valuable minerals like gold. The extraction of the precious metal dating from the time of ancient cultures such as the Maya, who were washing gold in river beds, but for them the most important mineral as the jade has been found in buildings, tombs and houses they manufactured. 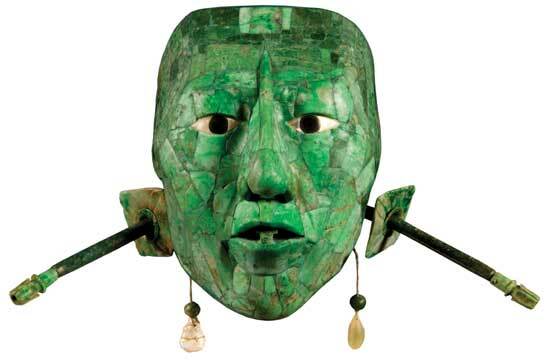 Jade jewelry combined with gold and silver to make sculptures, jewelry, ornaments … For them the gold was not as important as the jade stone. One day, there came another culture, across the great sea. This culture, from the European continent if he was eager to fill them riches and gold was the most precious. The Spaniards found out that the natives of these lands had enough gold and used it without much importance. The natives were surprised that these white bearded men died for gold and they did change by shards of glass as mirrors in exchange for. Then began the conquest. Europeans dominated the Native Americans have better weapons, weapons that spewed fire … but his best friend, the horse, which did not exist in these lands, was a great advantage over the natives who did not know the powder, the horse, the metal alloys or wheel. Besides the Spanish brought many unknown virus which wiped out 90% of the indig enous population. Diseases such as syphilis, smallpox, measles, cholera … Also they brought the Cross, and religions and beliefs were changed. And change the world, forever. During colonial times, after the conquest, began to make many mines. Silver mines in the east of the country, money that was used to mint coins for the kingdom. The Captaincy General with Viceroyalty Coathemala (Guatemala means place of trees) was eager for the production of precious metals like gold, silver and copper. The viceroyalty, led by a viceroy or captain general who ruled in the name of the King of Spain, covering an area stretching from the current states of Chiapas, Guatemala, El Salvador, Honduras and Costa Rica. Mine spread everywhere throughout the country. Forced labor for the Indians who became slaves and laborers who worked in gold panning in rivers, in open pits and underground mining of silver and copper, where thousands of people gave their lives. Precious metals were removed from these lands that the Kingdom of Spain grow even more and thus could finance wars that took place simultaneously in Europe against the British, French and Dutch. Also with the gold and silver out was financed the construction of cities and towns that assisted with agriculture, livestock and textiles made were founded hundreds of towns and cities throughout the territory of Coathemala. 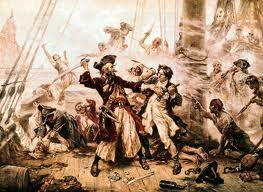 Boats laden with gold and silver to Spain carrying the product and many of these vessels, with thousands of ounces of gold and silver inside, were attacked by pirates Dutch, English and Malay in the Caribbean Sea. Gold, during this time, then allowed the development of the Central American peoples. The currency used had (and still has) its support in this precious metal. Then came the time of Independence. Earlier this entire period was dismembered Viceroyalty. Each state would become independent by not want to depend on a single capital located in Guatemala, the 4 major states separated. The state of Chiapas was absorbed by the Mexican State of Guatemala had a debt with Mexico. Belize invaded England and brought thousands of slaves from Africa to cut the wood that was in that territory. El Salvador, Honduras and Costa Rica became independent not only in Spain but also in Guatemala. Mining early that time suffered a heart almost irreversible. Thousands of German immigrants came then to Guatemala during that period and several mining projects began, which went quite well until during the time of the Revolution of President Justo Rufino Barrios, started almost every country of emigrants from Germany, appropriating of their land where they had mines and turning them into plantations of gum, coffee, sugar and bananas. Then the small mining boom, which brought down the Revolution, would the increase in agriculture, then passing a state with a state mining vocation agricultural potential. And so it continued until the mid-50’s he founded the Mining Department under the Ministry of Energy and Mines then. Guatemala minerals needed not only for building but also for the industry. Founded Geology School attached to the University of San Carlos of Guatemala. Foreign Cooperation Japan, Canada, USA, France and Germany came to the country to make geological and translate them into reports, reports, books and maps. It was founded for that purpose the Military Geographical Institute, in charge of printing maps at scales never before made, not only for military purposes but also for geological mining purposes. He made the first maps based on aerial mapping. Then would come the Mining Act where Congress with representatives of all areas involved in the mining industry, from councils, cooperatives, individuals, etc., Drafted the law governing the rules and ordinances that govern mining in the country. It was established that in Guatemala there are two types of mining, metal refers to metallic minerals such as gold, silver, copper, iron, zinc, etc., and non-metallic minerals such as river sand, gravel, jade, serpentine .. So all the activity that has to do with minerals that contain no metal. For both types of mining processes governing them or recognition of aerial activities, exploration and exploitation of the same. Set deadlines for each activity and size of areas. It normaron royalties that should be paid to the government and the respective municipality where the area is. Laws were established for the type of work in any of the activities was to maintain a clean and care for the environment and society. Then private companies began to emerge and individuals who were very interested in mining, an activity that has happened and is happening now many malicious reviews from groups that reject any mining activity or any type that has to do with the environment atmosphere.